Wind energy is a natural resource characterized by instability. Previous studies mainly focus on the assessment of wind energy reserves, but it's not clear how wind energy evolves over time. A collaborative of researchers has now published a study focusing on the change in wind energy resources and model simulation ability, revealing a widespread decline in wind energy resources over the Northern Hemisphere. Using station observation data, the study finds that approximately 30 percent, 50 percent and 80 percent of the stations lost over 30 percent of the wind power potential since 1979 in North America, Europe, and Asia, respectively. The study also reveals that global climate models (GCM) cannot replicate the long-term changes in wind energy, indicating wind energy projections based on GCM simulations should be used with careful consideration to the model performance. "Our study is one of the first comprehensive assessments of the GCM-based winds against surface observations over multiple continents. We found that the decline of wind energy is a widespread and potential global phenomenon. 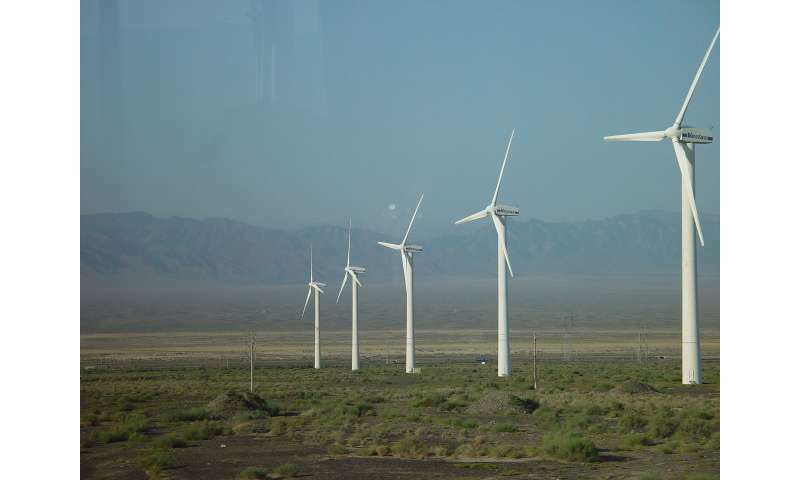 In addition, the finding that the climate models have a notable deficiency in simulating wind energy is an important conclusion that needs further attention," said Qun Tian, the lead author of the paper.